Marykate has worked at WEBS since April of 2016, first in the retail store, and then as the Marketing Coordinator. She is mainly a knitter, which she's been doing since childhood, but dabbles in spinning, crochet, and weaving. 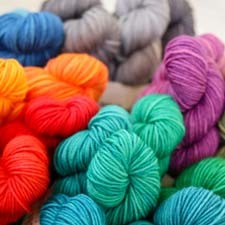 She lives in Western Massachusetts with her three cats and enormous stash of Valley Yarns. 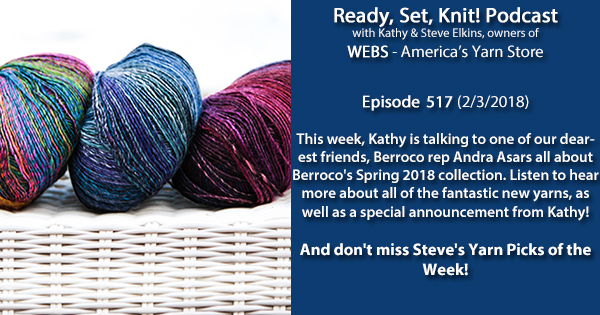 This entry was posted on Saturday, February 3rd, 2018 at 8:17 am	and is filed under Ready, Set, Knit Podcast. You can follow any responses to this entry through the RSS 2.0 feed. You can skip to the end and leave a response. Pinging is currently not allowed.